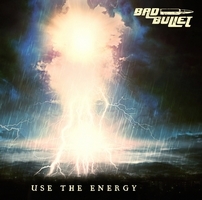 Bad Bullet are presenting their debut album Use The Energy via NRT Records. They are from Styria, not a hot spot for rock and metal - at least it seems not to be - and the current line-up came together in 2017. The sound of thunder is the first thing you hear, then guitars and the whole band joins in for Black Heaven. The track is based in alternative rock spiced up with a dash Green Day. Never Give Up offers grunge elements, distorted guitars and a bit Nickelback - just that singer Manuel Schlögl doesn't have  a charismatic voice like Chad Kroeger. Quite heavy is Free, more alternative metal than rock. Once again the vocal line shows reminiscences to Billie Joe Armstrong. Judgement Day shows some metal influences, but is too tame to become a real metal tune. Sirens and a prominent bass line lead into Poison World, a melting pot of grunge and alternative rock with a dash of metal. The title track Use The Energy offers more heavy riffing, the vocals are half-hearted... I believe that the guys play their music with heart and soul, but sometimes it isn't audible. A balladesque tune is Last Chance, at the opening part and becomes a melodic rocker. Personally I think the vocals are the weak spot of the band. At some tunes I miss power and a raw edge while at the balladesque parts it should be more emotional... expressive. Check out Use The Energy!